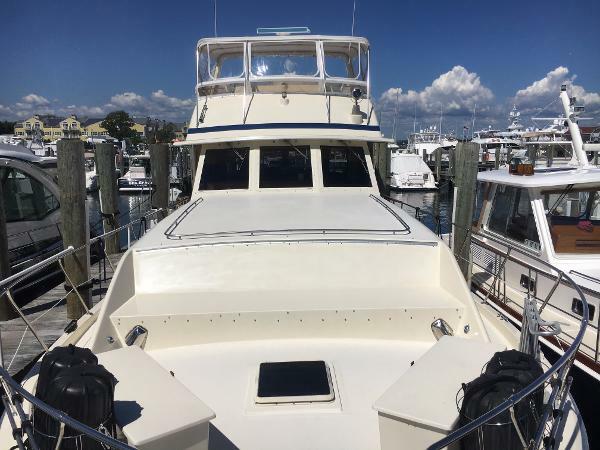 2014 Chris-Craft Catalina VERY LIGHTLY USED VESSEL IN "NEW" CONDITION The Chris-Craft Catalina is a beautiful center console that is the perfect vessel for the serious fisherman or the family who wants to spend quality time on the water. These vessels are known for their "fit and finish" and practical quality throughout. "The J Team" comes with a Venture trailer and numerous options. She is powered with twin 150HP Yamaha four-stoke engines with only 47 hours This vessel has never been bottom painted, is stored indoors (covered) after each use and both engines are fresh water flushed. 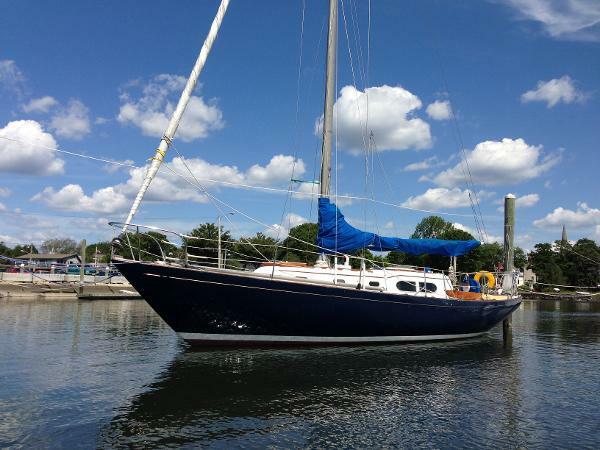 She has been lovingly cared for by owners who want to move up to a larger vessel. She is available to be seen in tax-free Rhode Island. Please call for an appointment to see her. 1967 Chris-Craft Apache 1967 Chris Craft Apache 37 Sailboat on display in Barrington, RI. This Sparkman and Stevens Design has stood the test of time. Upgraded cushions in and out as well as teak and holley sole in cabin. New mast step 2013 as well as other updates. Cruise or Race, this boat handles like a dream and is looking for a new Captain. Engine Rebuilt in 1985. 2005 Chris Craft Launch Powered by a Volvo 8.1L 380 Hp engine with Bravo III drive. 200 original hrs. 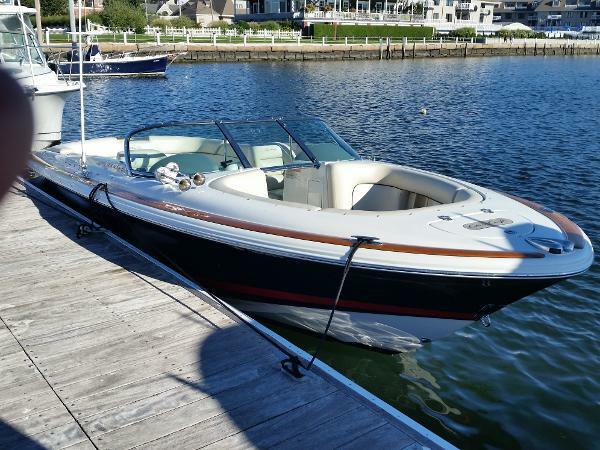 Features the highly sought after Heritage Teak Trim Package, ( varnish updated 2015) Bimini top, U shaped cockpit seating, forward seating, head,Selectable exhaust system, pop-up cleats. 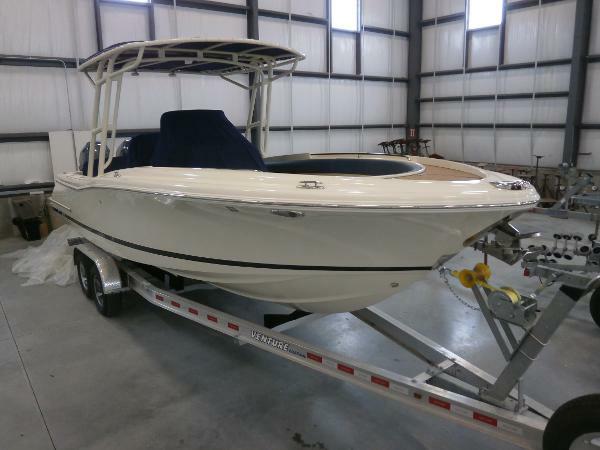 LED courtesy lights, lockable glove box, removeable carpet kit, fresh water system, trim tabs. Notable update : raw water desaliation system installed to allow fresh water engine flushout. Very well cared for w/ recent updates incl. new fuel pump, serpentine belt, thermostat, and engine controls. Turn Key in the water ready to go.